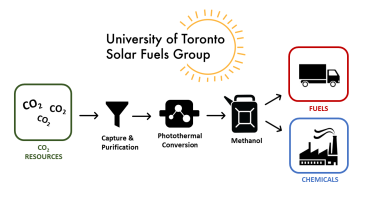 The U of T Solar Fuels Cluster is an interdisciplinary research team devoted to developing scalable, cost effective materials solutions towards using CO2 as a chemical feedstock for valuable products. Leveraging the expertise of some of Canada's leading chemists, engineers, and material scientists, we hope to initiate a paradigm-shifting zero-emission CO2 economy. 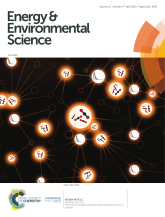 April 11th, 2019: Energy & Environmental Science Cover Page! Congratulations to authors Mireille Ghoussoub, Meikun Xia, Dr. Paul Duchesne, and Prof. Dvira Segal, as well as cover artist and alumnus, Dr. Chenxi Qian, for having their recently published review article featured on the cover of Energy and Environmental Science. Photothermal catalysis is an emerging sub-discipline of heterogeneous catalysis that exploits broad absorption of the solar spectrum to stimulate a combination of thermochemical and photochemical processes, which contribute synergistically to driving catalytic reactions. It is proving an effective and promising strategy for converting CO2 to synthetic fuels. See full article at Energy & Environmental Science. Chemicals and fuels derived from CO2 and enabled by solar power have taken the research world by storm over the past decade. 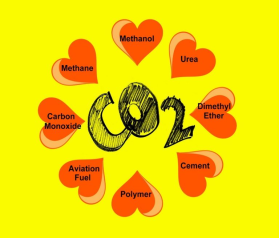 However, CO2-derived fuel technologies, as promising as they may appear, are still subject to the harsh economic realities of chemical engineering. Is it possible to simultaneously achieve high photonic efficiencies all whilst adhering to the logic of economies of scale? Two new start-ups, The Solistra Corporation and Dimensional Energy, have taken on this challenge and are paving the way towards a future driven by solar fuel technology. Read full story at Advanced Science News. Where did the use of light to drive catalytic reactions all begin? Why are metal oxides a good choice for light-assisted chemical reactions? How can we design better photoreactors to integrate into the existing chemical infrastructure? 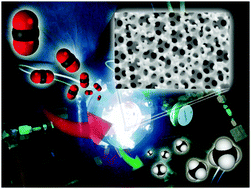 Finally, what are the prospects for global industrial photocatalysis? Learn the answers to all these questions and more as the University of Toronto Solar Fuels Group shines light some of the technological challenges facing the widespread industrialization of CO2 photocatalysis. Read full story at Advanced Science News. The Faculty of Arts and Science (FAS) Postdoctoral fellowship is a highly competitive and prestigious award designed to provide outstanding recent doctoral students advanced training in their field of study. This year the FAS received over 140 applicants. The Solar Fuels Groups is pleased to announce that Dr. Yang-Fan among the few selected recipients. 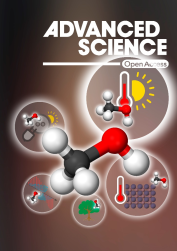 February 19th, 2019: Congratulations to Athan Tountas and Co-authors on your Solar Methanol Advanced Science Paper! 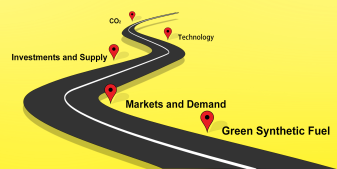 “Towards Solar Methanol: Past, Present, and Future” provides a comprehensive overview of how value-added products, notably methanol, can be produced affordably and sustainably from greenhouse gases. Harnessing light in the form of solar energy can assist is the production process in some capacity through various strategies, such as solar-thermochemical, photochemical, and photovoltaic-electrochemical. Commercially-ready technologies are compared via technoeconomic analysis, and the scalability of solar reactors is also discussed in the context of light-incorporating catalyst architectures and designs. Finally, the review offers perspective on the viability of the most promising solar methanol strategy to be applied at a global scale. Read full story at Advanced Science. Congratulations to Wei, Chenxi, Govind, and Co-Authors on their New Years Eve Nature Catalysis publication in which they report on their discovery of how to make Silicon, the second most abundant element on earth, behave catalytically in the gas-phase heterogeneous hydrogenation of CO2 to CO, known as the Reverse Water Gas Shift Reaction. See full article at Nature Catalysis. 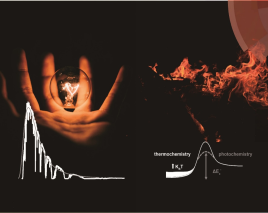 January 8th, 2019: Congratulations Mireille, Dvira, Meikun, and Paul on your EES article which shows how producing synthetic fuels by photothermal gas-phase heterogeneous CO2 catalysis is within our hands! Photothermal catalysis is an emerging sub-discipline of heterogeneous catalysis that exploits broad absorption of the solar spectrum to stimulate a combination of thermochemical and photochemical processes, which contribute synergistically to driving catalytic reactions. In particular, it is proving an effective and promising strategy for converting CO2 to synthetic fuels. See full article at Energy & Environmental Science. In 1995, Robert Proctor of Stanford University coined the term, “Agnotology”, refering to the study of how and why we do not know things as a means of addressing the rapid dissemination of misleading, confusing, frightening and false information. Although early works in this field were focused on the understanding the ignorance around smoking and cancer risk, Agnotogy is highly relevant to the current rhetoric surrounding climate change. The reality is that CO2 emissions due to human activity are contributing to climate change and that to limit the warming from pre-industrial levels to 1.5 °C these emissions must be reduced to zero by 2050. Unfortunately, however, denial or acceptance of global warming often stems from selectivity in the search for evidence and political leaning. See full story at: Advanced Science News. Solar-driven CO2 hydrogenation can provide a renewable source of fuels and reduce greenhouse gas emissions at industrial scale. The paper investigates the light-driven Sabatier reaction over Ru films sputtered onto silica opal (Ru/SiO2) and inverted silicon opal photonic crystal (Ru/i-Si-o) supports. Under ambient temperature conditions, photomethanation rates over both the Ru/SiO2 and Ru/i-Si-o catalysts were shown to increase significantly with increasing light intensity, and rates as large as 2.8 mmol g−1 h−1 are achieved over the Ru/i-Si-o catalyst. Furthermore, the quantum efficiency of the photomethanation reaction was found to be almost three times larger when measured over the Ru/i-Si-o catalyst as compared to the Ru/SiO2 catalyst. DFT analysis indicate that charged Ru surfaces can destabilize adsorbed CO2 molecules and adsorb and dissociate H<2 such that it can readily react with CO2, thereby accelerating the Sabatier reaction. See full paper at: Energy & Environmental Science. The community of scientists and engineers dedicated to the development of synthetic fuels made from CO2 is large and growing. From catalytic synthesis to reactor design, these researchers work on devising strategies to yield the most energy efficient and cost-effective CO2 conversion technologies. There exists, however, another community of experts also dedicated to working on CO2, albeit from a very different perspective: these are the scientists and engineers dedicated to the capture, purification, transportation and distribution of CO2 for either storage or enhanced oil recovery purposes. 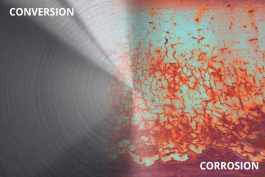 Their attention is largely focused on the important, and yet often forgotten corrosive nature of CO2 on processing equipment, containers, and pipelines made of carbon steel. Given the current trend, these seemingly disparate fields would greatly benefit by overcoming the CO2 communications gap, which appears to exist between scientists and engineers working on these problems. See full story at: Advanced Science News. Synthetic fuels made using non-fossil renewable sources of energy, could make a significant contribution to achieving the 1.5 °C objective set out by the Paris Climate Agreement. While not widely recognised, technologies for making such synthetic fuels are in an advanced state of technological readiness; however, large-scale production will entail further development of several technologies, decision-making on where to locate different facilities, and the building of infrastructure to transport the fuels to where they are needed. 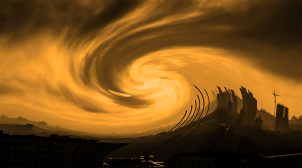 A recent report put forth by Frontier Economics at the commission of the World Energy Council in Germany seeks to develop a dedicated roadmap for establishing a global renewable electricity to fuel industry. See full story at: Advanced Science News. The University of Toronto Solar Fuels group has recently joined C4X, an NRG COSIA Carbon XPRIZE finalist, in their effort to create viable carbon dioxide utilization technologies in an effort to alleviate the effects of global warming caused by atmospheric greenhouse gases. C4X is currently operating in Suzhou, China, and is planning to expand operations to Canada through this partnership. 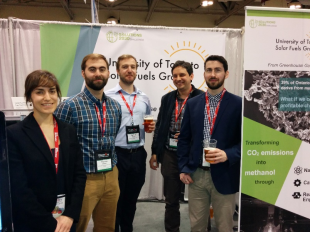 The University of Toronto Solar Fuels group develops solar-driven technologies for the conversion of greenhouse gases like carbon dioxide into value-added chemicals and products. This opportunity to scale these technologies in a real-world setting is a major step forward in the path to commercialization of this work. 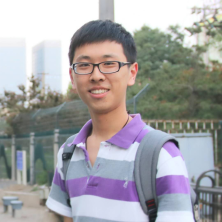 October 20th, 2018: Congratulation to Jinlong Gong for your paper in Angewandte Chemie! Selectively targeting one high value-added chemical fuel, such as methanol, from CO2 reduction in aqueous solutions remains a grand challenge. By intentionally constructing a well-defined defined Cu/Cu2O interface, the binding strength of surface adsorbed H* and CO* intermediates could be balanced in a photoelectrochemical reduction of CO2 in aqueous solution, leading to methanol production with an impressive Faradaic efficiency of 53.6%. 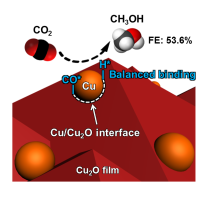 The full paper, entitled “Tuning Cu/Cu2O Interfaces for Reduction of Carbon Dioxide to Methanol in Aqueous Solutions”, can be found at Angewandte Chemie. We have arguably reached a point in the evolution of materials chemistry where the discovery of a brand-new material or novel material property is rare. 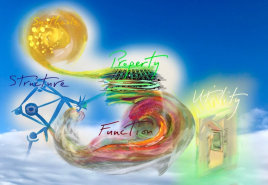 Although there will, of course, always be the occasional eureka moment, current materials research is mainly focused on the design of self-assembled material architectures that yield specific properties to satisfy the function required of an application. An inevitable question in today’s technological context, however, is the role of artificial intelligence in the materials research process. Can AI be trained to accomplish tasks and practice continual learning, intuition, and creativity, in a manner that matches or even supersedes human intelligence? See full story at: Advanced Science News. 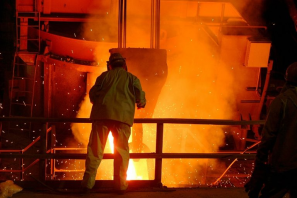 According to the International Energy Agency (IEA), the steel industry accounts for close to 30% of the direct carbon dioxide (CO2) emissions of the industry sector, which corresponds to 7% of the global CO2 emissions (data for 2014). At present, steel mills reduce their carbon footprint mainly through incremental efficiency upgrades designed to cause minimal disruption to its output; however, new research is showing that strategies focused on valorizing and utilizing CO2 may present an economic opportunity with significant environmental benefits. Michael Bender and coworkers at BASF SE, Ludwigshafen in Germany, have recently reported a techno-economic analysis for six different CO2 emission reduction scenarios in steel manufacturing. Read the full story at Advanced Science News. September 20th, 2018: Congratulations, Alex Tavasoli, on being selected as a finalist in the MaRS Women in Cleantech Challenge! 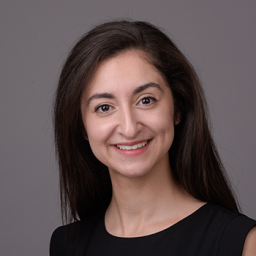 The University of Toronto Solar Fuels Group is proud to announce that Alex Tavasoli has been selected as a finalist in the national Women in Cleachtech competition, hosted by MaRS Discovery District and Natural Resources Canada. 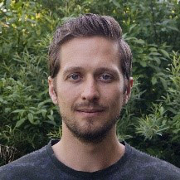 Alex’s proposed company, “Solistra”, offers a greenhouse gas (GHG) to fuel technology that converts waste CO2 and methane into syngas using solar energy and novel, nanostructured, light-activated materials. The Women in Cleantech Challenge seeks to identify top female innovators from across the country who are developing technologies to tackle the world’s most daunting energy and environmental challenges. Of the hundreds of applications received, 10 semi-finalists were invited to deliver their pitch live to a public audience and prestigous jury, amongst which included Margaret Atwood. The finalists will now participate in an intensive 30-month business accelerator program, with support valued at $800,000, before competing for the $1-million prize to invest in their business. The full list of finalists can be viewed at: http://www.womenincleantech.ca/. 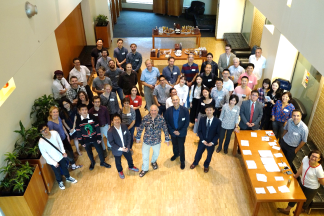 The GAO Materials Research group was delighted to host a highly interdisciplinary, intellectually stimulating, and heartfelt symposium on Saturday, August 25th, in honour of Geoffrey Ozin’s 75th birthday. Thank you especially to speakers, Ludovico Cademartiri, Jennifer Chen, Yadong Yin, Mark Wilson, Hong Yang, Mark MacLachlan, Wendong Wang, Ben Hatton, and Todd Siler, for stimulating our brains and hearts with their kind and inspirational words. Thank you also to organizers Wei, Sue, and Chenxi for their commitment to organizing such a successful event, and to the department of Chemistry and ChemClub who generously sponsored this event. Finally, thank you to all who attended for making the day truly special. Professor Geoffrey Ozin has been awarded a three-month extension of his Alexander von Humboldt (AvH) award to work with Professor Roland Dittmeyer, Director of the Institute for Microprocess Engineering at Karlsruhe Institute of Technology, Karlsruhe Germany, on the development of high performance photocatalysts and photoreactors for converting greenhouse gas to fuels. 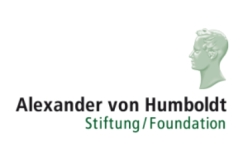 The AvH award is in recognition of a researcher's entire achievements to date to academics whose fundamental discoveries, new theories, or insights have had a significant impact on their own discipline and who are expected to continue producing cutting-edge achievements in the future. July 18th, 2018: Congratulations on achieving the golden h = 100! In recognition of his innovative and technologically relevant contributions over the past 50 years, Professor Geoffrey Ozin has achieved the ISI Golden h-index of 100. This is a remarkable accomplishment that research groups working in chemistry related topics around the globe rarely achieve. Congratulations is extended to all of Professor Ozin's past and present coworkers who helped maked this happen. June 21th, 2018: Congratulations, Hong Wang, Lu Wang, and coworkers on your paper, Ambient Electro-Synthesis of Ammonia - Electrode Porosity and Composition Engineering! 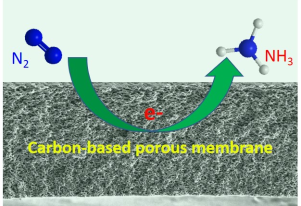 In this paper, hierarchically structured nitrogen-doped nanoporous carbon membranes (NCMs) are reported to electrochemically convert N2 into NH3 at room temperature and atmospheric pressure in an acidic aqueous solution. The Faradaic efficiency and rate of NH3 production using the metal-free NCM electrode in 0.1 M HCl solution are as high as 5.2% and 0.08 g m-2 h-1, respectively. Upon functionalization of the NCM electrode with Au nanoparticles (Au NPs), the efficiency and rate achieve a remarkable 22% and 0.36 g m-2 h-1, respectively. These performance metrics are unprecedented for the electrocatalytic production of NH3 from N2 under ambient conditions. 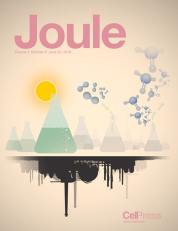 June 20th, 2018: Front Cover of Joule! The synthesis of ammonia by photoelectrochemical N2 reduction, unlike the century old high temperature high pressure Haber-Bosch ammonia process, is not very energy‐intensive and can operate at low or even ambient temperature and pressure. In a Chinese-Canadian collaboration, spearheaded Professor Jinlong Gong and Professor Geoffrey Ozin, the promotional role of surface O vacancies in outer layers of amorphous TiO2 thin films in enabling the adsorption and activation of N2 to facilitate reduction to NH3 is described for the first time. See their recently published paper, "Promoted Fixation of Molecular Nitrogen with Surface Oxygen Vacancies on Plasmon-Enhanced TiO2 Photoelectrodes", to learn more. 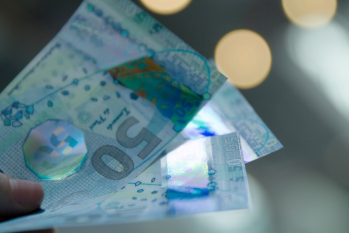 Whether preventing passport fraud or currency counterfeiting, smart nanomaterials invented at the University of Toronto and commercialized by Toronto-based Opalux have locked in a new level of security. 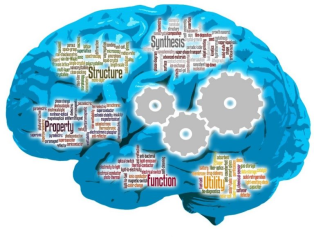 In this article, Geoffrey Ozin and Todd Siler, a long time practicing chemist and artist, ask whether machine learning will ever be creative enough to match the innate ingenuity of humans at discovering and synthesizing an entirely new class of materials. June 1st, 2018: Congratulations, Young Li,on your paper in ACS Applied Materials and Interfaces! 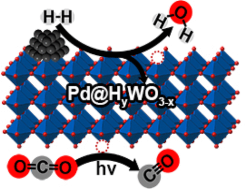 Palladium-tungsten oxide hetero-nanostructure Pd@HyWO3-x is shown to function as a high performance photocatalyst for enabling the gas-phase reduction of CO2 to CO at an impressive rate of 3.0 mmol gcat-1 h-1. A photochemical pathway operates via bandgap excitation of HyWO3-x along with photothermal contributions arising from non-radiative electron relaxation in Pd nanocrystals and the plasmon band of HyWO3-x. Kinetic analysis revealed a decrease in the activation energy for CO formation in the dark compared to the light with kinetics being more CO2 dependent in the dark to more H2 dependent in the light. Operando diffuse reflectance infrared Fourier transform spectroscopy measurements provided valuable insight into the surface chemistry responsible for the conversion of CO2 to CO formation. The Pd@HyWO3-x system provides a blueprint for rationally designing and optimizing catalysts that enable gas-phase photothermal reduction of CO2. 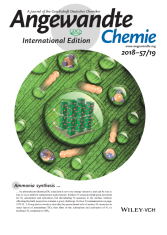 May 11, 2018: Congratulations Lu Wang, Meikun Xia, Hong Wang, Keyfeng Huang, and Chenxi Qian on your Joule Perspective, "Greening Ammonia toward the Solar Ammonia Refinery"
The century-old Haber-Bosch process for the production of ammonia from N2 and H2 is an energy demanding and greenhouse gas intensive, high temperature and high pressure, fossil powered process. A contemporary challenge is to replace this unsustainable process by a sustainable one that produces ammonia from N2 and H2O, powered by solar electricity, solar heat or solar photons. 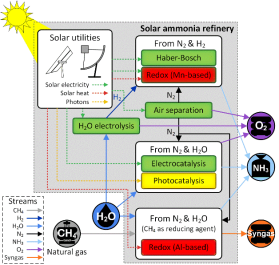 In this Perspective, we present an overview of current research activity and technology development in this area together with a high level energy analysis shown in the graphic of the different ways being explored to achieve the lofty goal of a 'solar ammonia refinery'. Ontario's Centres of Excellence (OCE) has announced the first cohort of finalists for Ontario's Solutions 2030 Challenge - a three-phase competition over three years designed to accelerate the development of technologies with strong potential to help Ontario meet its 2030 emissions targets as part of Ontario's Climate Change Action Plan. The intitiative is part of the province's broader TargetGHG program, which is administered by OCE on behalf of the Ministry of Research, Innovation and Science and the Ministry of the Environment and Climate Change. Professor Geoff Ozin and the Solar Fuels Team at the University of Toronto have been awarded close to $1 million from the Low Carbon Innovation Fund (LCIF) to translate their greenhouse gas research to scale. Reza Moridi, Ontario’s Minister of Research, Innovation and Science made the announcement at the Ontario Centres of Excellence Discovery conference on May 1. 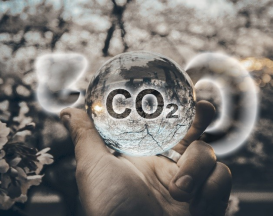 The project proposes a technology capable of recycling CO2, either from the atmosphere or from concentrated industrial sources, into value-added chemicals and fuels. Ontario’s Low Carbon Innovation Fund will help researchers, entrepreneurs and companies create and bring to market innovative low-carbon technologies. Moridi says that LCIF initiatives such as this, “will help us fight climate change while preparing industries to thrive in a competitive, low-carbon economy.” Ozin is excited to begin work on the Greenhouse Gases to Fuels project, commenting “working with the Low Carbon Innovation Fund, we intend to demonstrate that our G2F technology is an effective approach to making Ontario both environmentally sustainable and economically successful." April 25, 2018 - Congratulations to Michael Ertl and coworkers for their paper in Chemistry - A European Journal: It turns out the answer lies in the soil! The synthetic version of a naturally occurring iron mineral named after a Nobel laureate (mössbauerite), which has been previously studied by geologists and soil scientists, was found to be a promising ‘iron only’ electrocatalyst for the oxygen evolution reaction (OER). 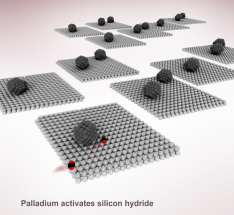 In a four-way collaboration between the Universities of Bayreuth, Bochum, Munich and Toronto, the electrocatalytic performance of synthetic mössbauerite is demonstrated to be competitive with the best-known ‘iron only’ electrocatalysts. Significantly, the structure of mössbauerite offers plenty of opportunities for compositional modifications in the quest for a champion earth-abundant, low-cost, non-toxic electrocatalyst. See News for ealier postings.